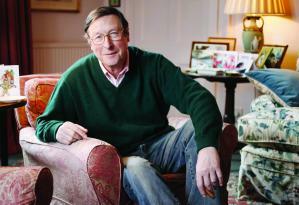 “We have got ourselves into a fine tangle,” Sir Max Hastings writes in today’s Daily Mail. Clearly he recognises this to be an understatement in a blistering analysis of where Britain stands since its decision to support the Libyan rebels against General Gaddafi. Hastings – a distinguished journalist and military historian – is too much a gentleman to say, we are, in fact, in deep doo-doo. David Cameron has committed the UK to back the weaker side in an Arab civil war for which we have now unwittingly assumed a political responsibility without the military means to secure its outcome. Hastings' conclusions are all the more damaging because he admits to being a “strong supporter” of the Prime Minister’s domestic policies. You don’t have to be a military genius to see it was a mistake for the Western Powers to insist on regime change before negotiations can open with Tripoli. With neither side capable of achieving a military victory, the best hope to stem the bloodshed is a de facto partition of the country. Britain should aim to extricate itself as quickly as possible from the Libyan mess it finds itself in. I’ll concede the PM stitched together the No-Fly-Zone with Nicolas Sarkozy and a reluctant Barack Obama, to prevent a humanitarian disaster worse than Bosnia. But subsequent events suggest the Allies thought toppling Gaddafi would, well, be a push-over. If this is the case then the Allies’ Middle East intelligence services haven’t been fit for purpose or else they have been overruled by their political masters. Or a bit of both – as happened with the Iraq war. Yes GC. An important addition from you to the debate. Critical debate has been hamstrung by the [military] coalition's total legal endorsement of their action by UN resolution 1973; and by the overall justification on humanitarian grounds for intervention. The whole thrust of this government's statements on this action is to distinguish themselves from New Labour's controversial participation in the Iraq war, by stressing the unassailable legality of the action over Libya. The countries that abstained in the UN vote included some 'big hitters'; China, Russia, India, Germany and Brazil. These are all high growth countries at the moment, with far less national debt than the key members of the coalition. Are perhaps some wiser heads prevailing in these abstaining countries? I trust, GC that this is not the end of your 'intervention' in the 'Libyan campaign'; and that you will soon have cause to return to this subject again, as will I shortly. [Jaffa]. "If it were done it were best it be done quick"--very apt for humanitarian intervention, before the humanitarian intervention itself results in more casualties.